Making the water feel more solid. 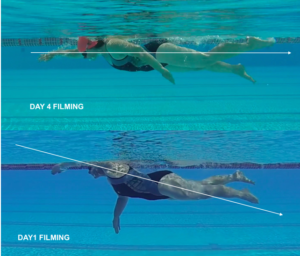 A wonderful, but not easy skill to help you work on your underwater pull phase is called the MFC. The momentary fist clenched as that is exactly what it is. A variation one the classic fist drill but the timing shift makes this so much more effective. Swimming with fists makes pulling harder, hoping we offset by using more of the forearm. In this version the effect of opening the hand mid pull suddenly makes the back of the stroke feel more more exaggerated and complete. The water gets heavier, you know it’s right. 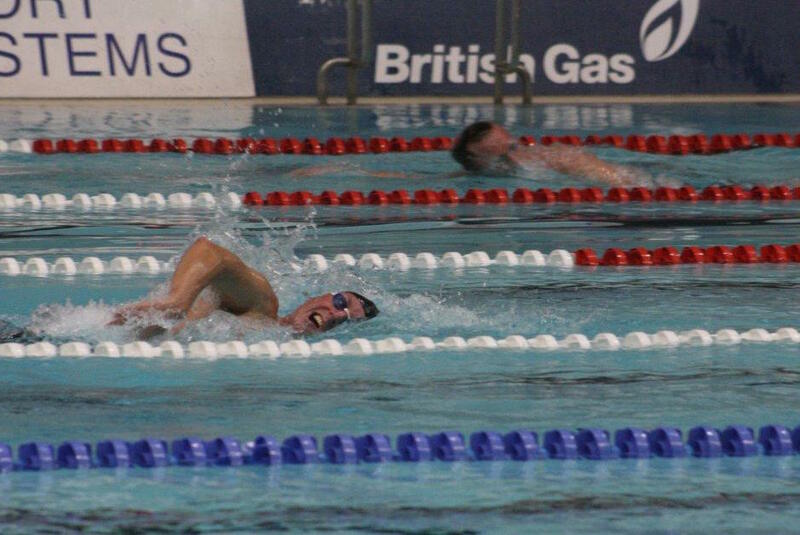 When it comes to swimming, I feel the body is a remarkably adaptable piece of ‘machinery.’ If we encourage it into a position of reduced ability where it needs to compensate we then work harder to achieve previously similar levels of ability. The hand slips in its reduced state then slows as it retains it full size. The larger the object the slower it moves in water, the hand shape will suddenly feel very large and slow as the pressure builds from the increased drag around it. By improving a specific movement having removed or reduced another area that previously was adding propulsion we have seen tremendous improvements achieved. Here we are reducing the hand from being a paddle to something less than half the size in order to deliberately force the body to adapt your stroke and become more efficient. The shift from small to large helps activate the back of the stroke, reminds you to finish the stroke and helps you feel the water get heavier at the back of the stroke. 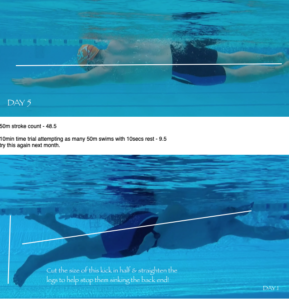 In more detail here is an article we prepared for our friends at TRI247 If we can get away from the idea that swim technique breaking down if a bad thing it might help you stay positive about getting back to the pool. Think of it as a reward for training hard. You get tired, the technique starts to fail. The next time you work hard it should ‘fail’ later into the set or at a faster pace. The important thing is that you restore it to its best potential with some technique work and not let it fester too long. I demo’d a paddle balance drill on a recent swim camp at CLS and noticed my legs were kicking out too big. I was sure my nice narrow streamlined kick was hidden behind my trunk. But no, due to some hard work of late, a lack of drills and filming/coaching my tech had not been restored. Here is a link to some Olympians working their Extension drill Why would Olympians do drills? They are polishing and restoring their full stroke technique post heavy training blocks. A nice slow weekly drills session will keep your HR in the lower zones which your tri coach might well be asking you to do. At the least you should be adding drills into your warmups/subsets or swim down. We never leave drills behind, just modify how many and how often and utilise with a different focus. Initially they will break the stroke into its component parts so there is not an overwhelming amount to focus on. Ideal for those new to the FC technique. Then they might be used to restrict a bad habit or encourage good habits to add some subtle improvements. Eventually as shown by the Auburn Olympians they can repair a broken technique after a period of heavy training. These images were from a recent swim camp and all were accomplished swimmers needing a little polish after some hard work over winter. Since most of the FC stroke happens behind you it is easy to see how things can go unnoticed. 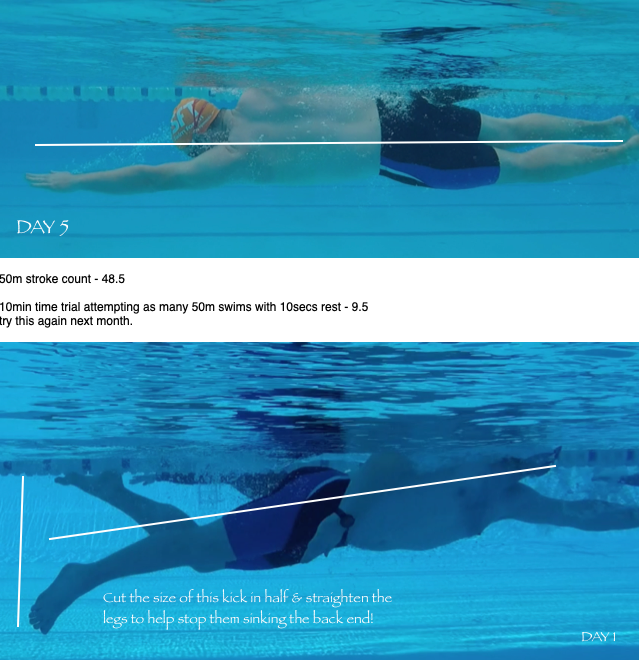 This is my favourite block of work to swim down with post a heavy training block to help restore the full stroke. 100m FC with fins, paddles and snorkel. Use the swim aids to help body position, to anchor the hands and keep the head still. 100 FC no swim aids, finish with your best possible technique ahead of exiting the pool. If you have not yet got the hang of swimming with a central snorkel yet then please give it a go. It is one of the most effective swim aids you can invest in <Available here>. Unless very confident in the water or a former scuba diver these seem to work best with a nose clip. Inhaling with the face in the water can really confuse the brain and water can be inhaled through the nose which is horrible! Before launching into a length of full stroke just get aquainted with the snorkel by putting your face in the water in the shallows and work on easy breathing in and out while static. Then perhaps some legs only with your face immersed. Then work up towards some full stroke. Drills will become more accurate as you focus on your body position and not on when to time the head movement for the breath. Keeping the head still is a great way to watch what your arms are doing under the body as they pull you forwards. You will spot wide sweeping hand pathways that will drive you from side to side. You will see the palm face down driving you up rather than the palm pushing water backwards to send you forwards. Not turning the head to breathe will also give you a chance to break the dreaded straight arm pushdown issue affecting many. Why is my Open Water speed not transferring to the Pool? Many got back to us about the recent ‘Why is my Pool speed not transferring to Open Water’ article and felt they suffered from the opposite phenomenon. Always happy to oblige and point out what might be happening when you make these comparisons and how you might improve them or be less stressed by them. As always before you read too much into this please be sure you are comparing like for like. 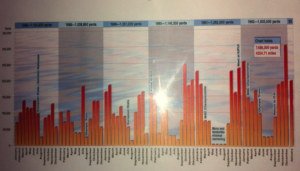 Are you really faster in Open Water? Did several of you/your teammates accurately measure your last race course/event, river or local lake facility and get a true and fair time for ‘x’ KM? Which then proved to be quicker than your best ‘x’ KM time trial in the pool? Was there a current involved which left you with a flattering result? Strong winds assisting? I find a 100m in a wetsuit to be approximately 10secs quicker than not in a suit. I am consistently 7-8mins slower over 5km when racing in a swim suit (FINA approved Open Water suit, ankles to neck, textile) compared to a full wetsuit. But 100m of what exactly? We cannot just leave that there. If you were lucky enough to be in a 100m long pool this comparison, depending on the quality of your turns, would be quite different if in a 25m/yards pool with poor turns. So, for the most part we are going to investigate as if we are in a non-wetsuit OW swim. Saltwater is also a consideration so again in the interest of fairness we should exclude that factor when making comparisons. Floating around drinking coffee in the balmy waters off of Dig Me beach in the run up to Kona can be quite surreal and should be considered when making comparisons between swim performances. So rather than equipment or environment, as best as possible we should just address stroke and mechanics as reasons for the discrepancy. 1 Tempo and turns– To be fair, pool based swimming training and racing is a whole lot more than just swimming now. 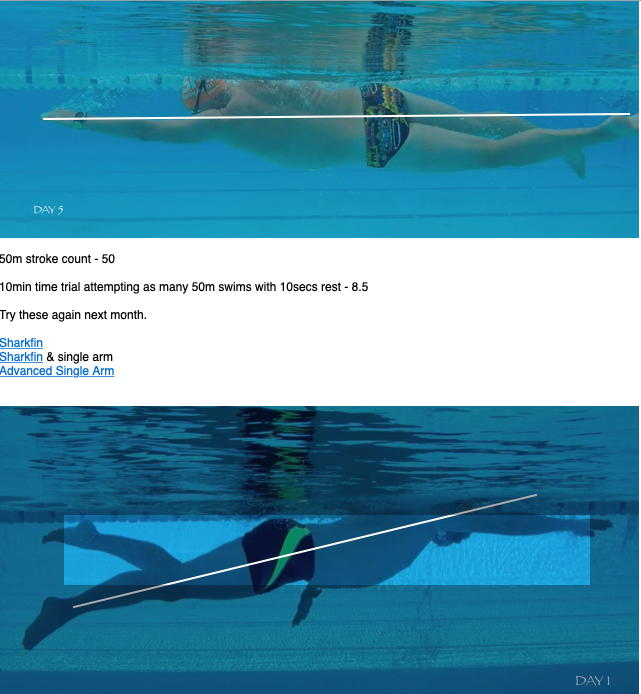 For instance, the effectiveness of the legal 15m of underwater kick means that often different swimmers win the same events at World Champs in the different length pools used for racing. The 25m ‘short course’ best times are significantly quicker than the 50m best times. Someone with great turns beats the swimmer with average turns in the 25m pool but won’t in the 50m pool length given similar swim speeds. Turns are a huge part of any pool race. Without a fast turn, any swimmer will not be competitive in a race. Equally if your turns are not great then not turning is going to leave your swim velocity unchanged and so keep you swimming significantly faster in OW than in the pool. As mentioned if you could find a 100m long pool you might find your OW pace similar. 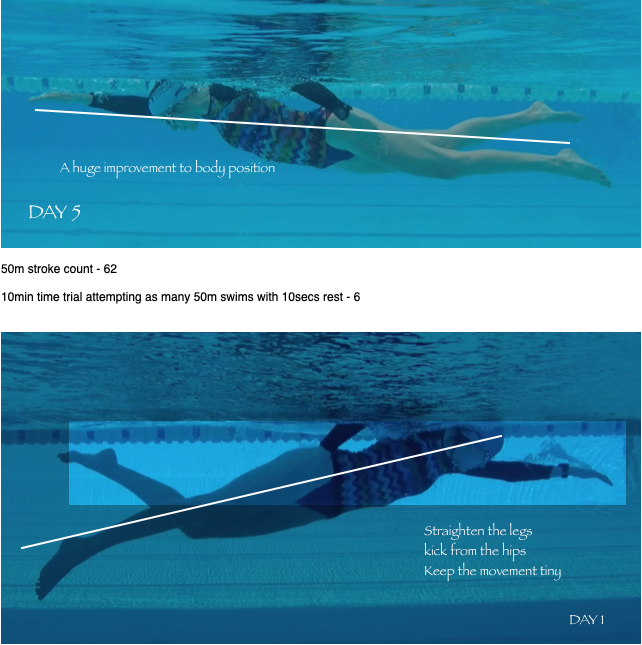 Perfect your turn and add 15m of dolphin undulation technique and your pool pace will move ahead. Linked to this & probably the most important thing in terms of pure stroke mechanics in OW over the pool is that for most tempo is higher in open water leaving you faster than in the Pool. Higher due to the lack of push offs contributing with fewer opportunities for a brief streamlined push and glide off the wall to take a brief respite. Also, there is likely to be less leg kick as we swim more economically with possibly the bike to consider so we shift more to the arms. 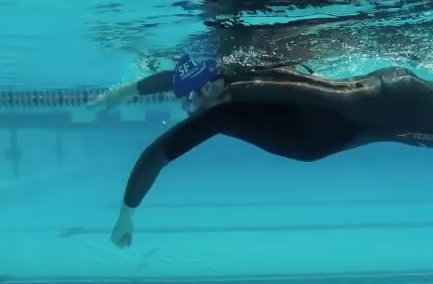 2 Drag and body position– this is artificially helped by the suit and/or sea water when in the open water. If your tight ankles point the toes down just a few degrees or the knee sends the lower leg up creating drag compared to the hip lifting the whole leg straight up then your forward propulsion is going to be seriously hampered. You possibly suspect this as you are faster with a pull buoy. Water punishes us severely when immersed for minor issues with streamlining. Saltwater and or a wetsuit will cover up a multitude of sins. If you do not perfect your technique for the pool then your pace will suffer. If you do improve your technique to improve you pool pace then this will only enhance your OW pace further. Win Win. 3 Mindset–I feel swimmers are braver when it comes to Open Water racing. Not just due to the physical barrier of a wetsuit protecting you and your body but that does offer a sense of invincibility to some. Many feel ready to do battle in the throng of open water. 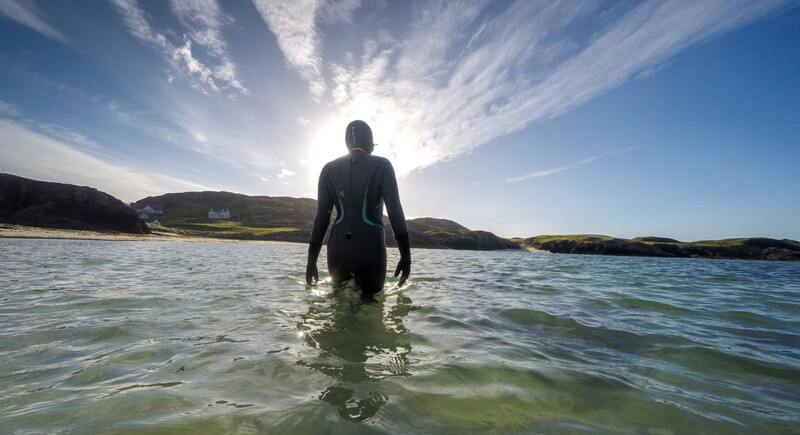 The benefit of a wetsuit might suggest why some swim starts get so aggressive as swimmers feel invincible! Even without a wetsuit though there is a different mindset to Open Water swimming. Standing on the starting block about to race a 1500m in a Long Course 50m pool is quite daunting. Jumping in for the Henley Mile on the River Thames and racing just the 1 length to the mile rather than 30 I attack this from the gun much differently compared to the pool event. It is a very different psychological effect on how you approach your swim. At our Saturday morning lake session which has a 1km loop I notice the difference in attitude and approach. Most of our swimmers who join us for this swim and our pool sessions quite happily knock out 4 laps whereas a 4km ‘session’ in our local 50m pool brings a very different response. Be a little braver when in the pool. 4 Breathing Pattern.I breathe every 3rdto the best of my ability in training. I like it, I like the rhythm, the balance, inspecting the surroundings on both sides of the London Aquatic Centre. Bilateral breathing stops my arms getting lazy and being ‘thrown back’ to the front of the stroke clumsily with my head returning from breathing. I know it builds a better technique that will keep me straighter on race day. Having persevered in training with this, on race day, I drop to every 2nddue to the extra effort. For many this would be the equivalent of another 7-8 breaths over 25m i.e. the difference between breathing every 2ndor 3rdstroke. That is a whole lot more air that you might just make better use of in Open Water compared to your pool swims. 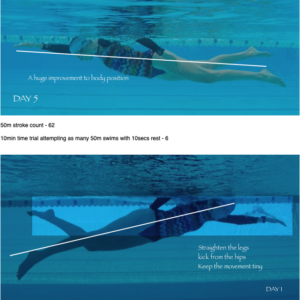 5 Drafting – so it is possible to benefit from drafting in OW and the pool but unless working Pool Based OW skills you are unlikely to be at the hip or right on the feet of the swimmer in front during a 6x400m mainset. If you are, you are unlikely to be making friends. The benefits of drafting are well documented and if you do it well in open water it is going to have you travel at speeds you would struggle to replicate in the pool. You can be towed at faster paces or left with a lower HR at your usual pace. Either way you will be faster. 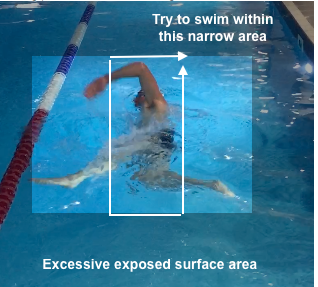 There is a towing effect in the pool when going behind someone with a 5sec gap (usual protocol) but not nearly as much. I recall sitting in at 3rdor 4thin the lane and coasting to times I would be working hard at when leading. Be careful what you are comparing and how. 6 Adrenaline of the race experience. At my first IM event in Lake Placid 2003, the National Anthem played as the mist cleared and 2000 people were treading water in anticipation of the day ahead. The hairs were up on the back of my neck, the butterflies churning. It was a spell binding moment. When the race started I was shocked at the pace of the start. It made no sense to be working this hard so soon in the day but for the first 1km of the swim I was amazed how aggressive and how fast the start was. Did it last, no, things calmed down but not until much later. Unless being cheered by a packed gallery before you start your next pool based time trial it is going to be hard to get this excited about a swim. If you are faster in OW compared to the pool then these are some of reasons but it is not the end of the world. You should be faster on race day in an OW environment, that is what you train for. All of your highly tuned skills coming together delivering your best performance. 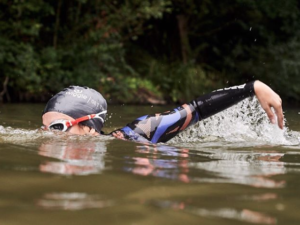 All aspects of technique, drafting, the possible wetsuit addition, the adrenaline and finely-honed sighting techniques should leave you swimming at your highest swim velocities. There is after all a reason why most world records are set during races. Even for the best swimmers the legs only add about 5%-7% to the total compared to 93+ from the arms. Depending on size of feet, ankle mobility this varies a little. Times for longer distances tend to narrow as the legs provide balance and assist rotation but not really propulsion. The energy needed is too much. 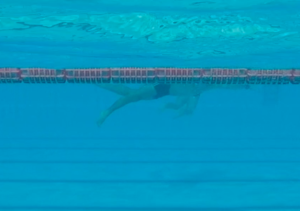 You should be a little faster swimming full stroke FC rather than pulling, if not it might indicate there is an issue with the kick mechanics. Yes to an extent, it is more about endurance ie a little stronger for longer so that the stroke does not shorten and get hurried. Paddle work can help, more swimming will help, adding the other strokes (so you X train a bit). Gym work can help, a swim bench will help. Dryland shoulder strengthening will help. Pool based swimming specific strength movements will also help. But none will help if the legs and body position are not streamlined and kept parallel to the surface. As a swimmer I would always take a perfect streamlined body position over a fantastic arm pull. Strong arms will eventually tire of pulling dragging legs. Remember if you pull too hard the water will slip so we can never sacrifice technique. 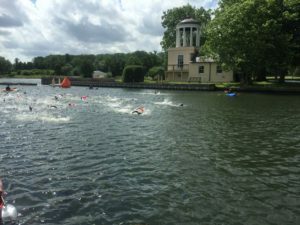 I called this article ‘Silly Season’ since it is the time of year when overly long swimming sets seem to take place and swimmers are challenged above and beyond their usual sessions. Christmas Day Hyde Park, Moonlight & Midnight, New Year’s Day, long, cold & open water dips. There are Championships in unheated Lidos and of course Xmas day Sea Swims. If you want to travel and swim then there is probably something to suit you somewhere. This list while a few years old is pretty comprehensive. Outdoor Swim Society. One of my favourite pools, Hampton Lido is open 365 days of the year and you can book in a moonlight swim. This pool is heated so if you are looking to continue your training over the Xmas period, head SW out of London past Richmond and you will find it. In particular though I wanted to touch on the Xmas themed 100x 100 challenge that for some reason pops up at this time. I first stumbled into this during my College years in Ohio. 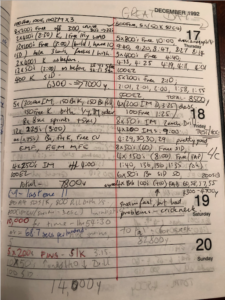 Coach Hammond had a fondness for a big final 10km mainset during our December Winter training periods when there was no studying to be done so we could swim even more. From the chart below you can see his fondness for distance in December! A few days before Xmas we would usually be allowed to leave campus but not before a morning 3-hour swim that included a 10km mainset. (50x 200, 10×1000, straight 10km in 1992.) My last year he went with the C X C as we arrived and were greeted with the cryptic message on the chalkboard. 100 x 100m Long Course meaning in the 50m length pool rather than the 25yards we trained and raced in the collegiate system. Odd were off 1:25, even swims a very generous 1:30! Having got my pacing wrong I don’t recall the last 12 as I blew up spectacularly. These were the days before gels and energy drinks. 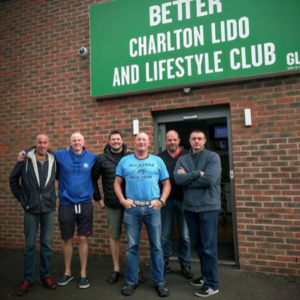 More recently we now swim this at Charlton Lido in December to remember Steve, a local legend who first came to Tenerife with us on a training camp. Steve and some friends started this in 2015 and now his friends continue it to raise money for Kent Air Ambulance while remembering Steve after we sadly lost him in a bike accident while out training. On 20th December 2015, a group of 6 keen swimmers assembled at Charlton Lido’s 50m outdoor pool to swim a classic set of 100 x 100m off 2 minutes to get ourselves fitter and front-run the turkey over the festive period.Sadly one of our group is no longer with us. During the Easter weekend in 2016 , Steve Wand was fatally injured while out training on his bike and the world lost one of the fittest athletes of his age group. I look forward to this poignant swim and have finished it twice now. It is a great legacy for Steve and a lovely morning of swimming as friends gather and recreate something Steve enjoyed. Whether for charity or remembering someone, as a fitting memorial the added weight of a good reason to finish will help you finish as the going gets tough. Which it will. NO matter how steady you start, how fit or how well you fuel this is a long way and it will test you. Perhaps that is a good place to start; with the ‘why’ would you swim 10km. Well there are now lots of Open water 10km swims so it might make sense to see if you can hit the distance now. If you don’t make it there is plenty of time to alter your training and revaluate for the Spring or Summer. Contemplating the Marathon Swim 10km next year? A good way to break down the 10 x 1km blocks they offer is to further sub divide to 100 x 100m swims. Often the rest period on these 100 x 100 swims is 15-20secs so you get a feel for the distance without too much of a chance to recover. For whatever reason you might get caught up in one of these challenges, over distance training is one reason to give them a go as we rarely venture this far in our usual training. Since so many people are now chasing the 14km Thames Marathon, the 10km Dart event, the Jubilee swims, Lock to Lock and Chillswim Lake Coniston this long distance challenge has relevance. Being able to replicate the race distances this early can be encouraging. Equally if you only make 75x 100 then you know the additional work needed to be successful. 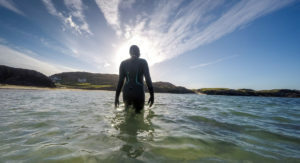 Steven Munatones, in his book ‘Openwater Water Swimming,’ recommends being able to swim past your distance by as much as 30% to use as a buffer if conditions, temperature and tides get bad. Not a bad thing to have that much more in the tank just in case when it comes to an Ironman or the Swimathon at 5km. Being able to do double or just over now is quite the reassuring safety blanket regarding your preparation. Perhaps then you can focus more on your weaker run leg knowing the swim should be ok. But of course, don’t neglect the swim completely. Do these types of long swims help? confidence, mental toughness and tenacity are all tested along with the physical demands. Do you have to do it to swim an Ironman? No of course not. 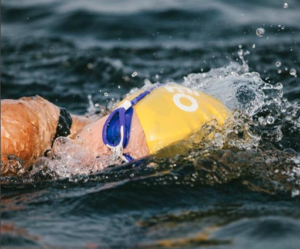 Will you feel like you can comfortably swim the distance next year, then bike and run? Yes, I think you should be very positive. I love the challenge of long distance events. Often taking you beyond your current limits and exploring what you may or may not thought possible. 3+ hours in the pools is also a nice long time to be working on stroke defects and allowing you a good amount of time to refine and perfect a certain element of your stroke that might have been causing issues. Stay injury free. This is critical and my main fear when we give these big distances a go while underprepared. Be careful. If I suddenly up my distance significantly then usually my elbows get irritated with some kind of inflammation. I was recommended wrist curls by a Physio to help reduce the effect. Preparation, it is getting a little late for one of the big Xmas themed swims to suddenly increase your swim distances dramatically but adding Dryland to strengthen the shoulders and reduce the likelihood of issues can help. I swear by prehab to keep my shoulders healthy now. Work on scapular, posture and strengthening the small muscles of the shoulders to counterbalance the FC effect. Rowing I feel helps with a reverse motion as does double arm backstroke. Leading up to the event. Rest from a few days out leaving your last big swim or hard effort on the Wednesday if performing at the weekend. This is a big training event so it should not impact your regular training significantly but to turn up tired will hinder your chances of completion and enjoyment. Don’t forget to be familiar with and own several pairs of comfortable goggles. Losing a swim hat to a split is unlikely to spoil the day but goggles leaking will. Nutrition- trial and error, now is a great time to see what works and what does not in the relative safety of a pool event. If it goes wrong in terms of what sits nicely and digests well then it is better here than half way across lake Coniston. I like the Hydro Gels as they are easy to carry in a wetsuit <by the shin.> and don’t need water to help them go down when I am racing long OW events so I usually stick with these on long pool swims. Jelly beans, crisps, pasta, bananas have all been spotted on poolside. Like I said, trial and error. Sometimes the nutrition component is ignored while the brain needs some motivation and excitement during the 60-70 block of 100m swims where fatigue is kicking in but you still have at a long way to go. Keep drinking and keep water bottles stocked up with electrolytes and energy drinks. Counting – Last year we set an interval of 1:45 and swam blocks of 10. This meant each block took 17:30 so we rounded it up to 18mins. 10 blocks of 18mins was spot on 3hours. Some used watches, some used the clock, a nice 55 or 05 setting will help your counting. ie 10 swims off 1:55 means you might start on the red top of the clock and finish your 10 when the red hands sweeps around as follows. Rest an extra 50secs to start again on the 20mins. 10 rounds at 20mins having started at 9am you will be done by 12:20. Have fun with the numbers, it will help pass the time. Don’t solely rely on your watch, you never can tell if it will be 100% accurate. Keeping going. As mentioned, with a charity and completing the swim for £ looming over you, these are great ways to keep going. Swimming in a pool in a group with teammate encouragement, the energy and positivity created means it is much harder to exit than a solo effort. If you are injured, unwell then of course be sensible about this, there is no point making things worse. Equally, I wonder at the wisdom of swimming through a big event, especially an optional one if under the weather. Whether your cold has gone from head to lungs or not. If it is optional reconsider. Be careful in the later stages with your push offs, cramping will be highly likely as fatigue, dehydration and lack of fuel kick in. Performing a streamlined push off will position the legs in exactly the ideal cramping position. Keep the ankles loose with simple rotations while resting and frequently stretch the calf muscles. Plan ahead and have friends/family to help with driving after the event. Dehydration and fatigue can take their toll. One year at Charlton the boilers were stuck on high and we boiled in 29deg pool water. Dehydration headaches made driving really dangerous. As soon as you finish and feel ready, food, massage and stretching will all aid your recovery so don’t hold back and be sure to bask in the glory. Good luck and well done! If you follow us on Social Media you might have already spotted this great drill. I am going to share something Technical & of use each Monday that you can hopefully incorporate into your training. Drill of the week- Single Arm Enhanced! If you are on our fitness classes we will add this into the subset to build rotation and keep the stroke narrow. Often with the single arm drill the catch <pulling arm> sets a nice position and the kick& hips bring the upper shoulder through to the chin but not always does the submerged shoulder then reappear above the surface as the rotation completes. If the trail shoulder does not resurface you can see here how you will struggle to breathe to left side. The opportunity to breathe is blocked. By elevating the trail arm it will remind you to finish your rotation and keep the kick and hips involved. I would always try this drill with fins. It is a tough one! Take a breath when the arms have stopped moving, perhaps take a single arm then the shark fin then breathe. You can always take 2 breaths to help remain composed. The purpose of the shark fin is to help you breathe by popping the trail shoulder back up above the surface. It is an insurance policy to ensure your body position remains strong and never flattens. Single Arm with a Sharkfin. A great progression from the advanced single arm. Add the shark fin to ensure you finish your rotation. The trail arm can also elevate straight to 12oclock if you straight arm recover. The key issue I see with this drill is people not finishing their rotation. If the ’trail’ shoulder is left flat you will struggle to breathe. By elevating the trail arm it is a nice reminder to finish your rotation and allow the opportunity to breathe to the side easier.Try it in the early stages with a central snorkel to get a feel for it but progress to trying without. The body rotation can remain flat with the snorkel and you will struggle to know how well you are rotating. Guest Blog – Charlie’s swim progress. Charlie’s SwimProgress – from 2017 onwards. 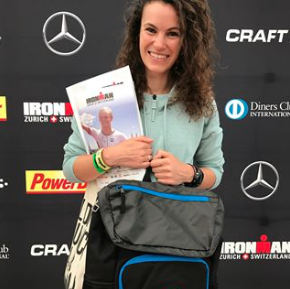 Charlie swam with us back in 2017 and swam well, making great progress to swim a 1:15 at IM Switzerland, her first attempt at Ironman. I recall a keen swimmer willing to train hard with more than a few technical issues to iron out, but her enthusiasm for training was infectious and I could see this would take her far. 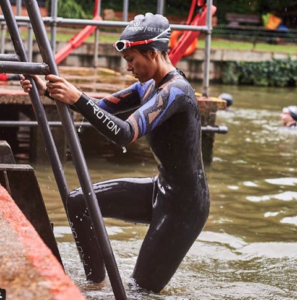 Her basic pace was around 2mins per 100m in the 50m pool we use at London Fields and she went onto to race well to record just under this pace with a wetsuit. 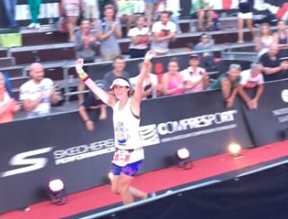 After a break Charlie has been back swimming with us since the Spring, 2018, and I wanted to share all that has happened recently as she has demonstrated some remarkable progress that might well see her break 60mins at IM in 2019. Of late she has had no problems hitting low 1:40 per 100m with not much rest. Her most recent blocks of recorded swims suggest a cruise wetsuit swim speed of 1:35. At this pace a sub 3.8km IM swim is possible if the course is true and fair. 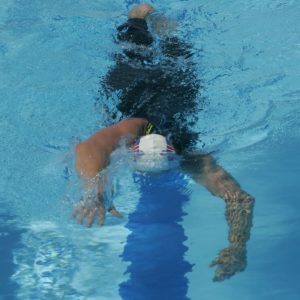 Leading and Following– swimming between the steadier lane 1 at our London Fields session and the faster lane 2 has been a useful but simple training stimulus. Lead the slower lane1, work harder pulling the other swimmers. Slot in at the back of lane 2 and work harder getting a feel for faster repeat times and faster intervals. Sometimes it works and she was there with the group, other times it was a bit fast and we added fins. Undeterred, Charlie would bounce back with a smile and attack the set regardless. Fitness– adding a 90min session and aiming towards 4km has been a great aim. With a 60min session we are limited in that you cannot reduce the warmup ahead of peak performance. Drills need time to be swum well. A 90min session allows a good warmup, time for technical aspects to be worked on and then still have 50mins + available for a solid mainset which could be 2500m or more. Technical Aspects-These are a few of the issues we have slowly been working on in 2018. 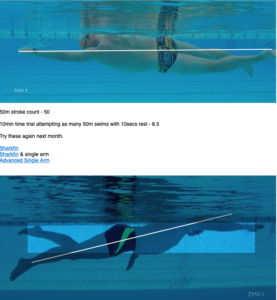 Head position– was very high causing issues to streamline, to breathing and lowering the legs as the body swam uphill. Kick– the kick has started to contribute and not just tag along for the ride. Arms, crossing over slightly on entry while performing a very short stroke due to the lack of rotation as the legs did not help drive the hips in turn helping rotation. Rotation was limited so surface recovery was low & wide with the arms having the potential to cross over when fatigued. As the kick has improved, the upper body rotation now delivers a smoother higher arm recovery which can travel forwards aiding momentum. Bottom line is you cannot beat regular training and adding a regular 90min fitness session with tech pointers has really helped. In her own words…. “Jumping into an outdoor pool at 06.45 whilst the mornings are getting darker and the temperature is most certainly dropping does sound mad and I would be lying if sometimes the thought of the freezing cold mad dash from the changing room to the pool and back again make it hard to leave my bed, but my Tuesday SFT sessions have become a very important part of my week. Since my IM last year I had retained basic swimming fitness, occasionally going to the pool with friends, but I knew my technique had got rusty. I started back with the gang in the Spring, settling into the steady lane prepared to work. Week after week, working on various drills and taking on board little tweaks here and there, my confidence grew and strangely I started to enjoy the sprint sets and the challenges given. I could feel I was getting faster which was then confirmed when I was asked to join the faster lane. Working with STF and having them be able to pin point the weaker elements of my stroke has helped no end.